The Big Sixty Utility series are low pressure units with 60,000 BTU independently controlled three ring burner. The three rings consist of an inner ring, middle ring, and outer ring for a wide range of accurate heating control. The inner ring burner is low heat control ideal for coffee brewing. Use all three burner rings for high heat control and accommodate up to an 80 qt. pot. Units are equipped with steel legs and raised cooking surface to 25' or portable for countertop use. Steel frame and legs. Inner burner 10,000 Btu. Middle burner 20,000 Btu. Outer burner 30,000 Btu. For use with Propane Gas. Fitting for left side gas (available right side also). Fully assembled and ready to use. Standard 1 year warranty. Weight: 45 lbs. Dimensions: 16 x 20 x 9 in. Height 25" with included legs. Total BTU: 60,000. 10,000 BTU Inner Burner. 20,000 BTU Middle Burner. 30,000 BTU Outer Burner. The Big Sixty Utility series are low pressure units with 60,000 BTU independently controlled three ring burner. The three rings consist of an inner ring, middle ring, and outer ring for a wide range of accurate heating control. The inner ring burner is low heat control ideal for coffee brewing. 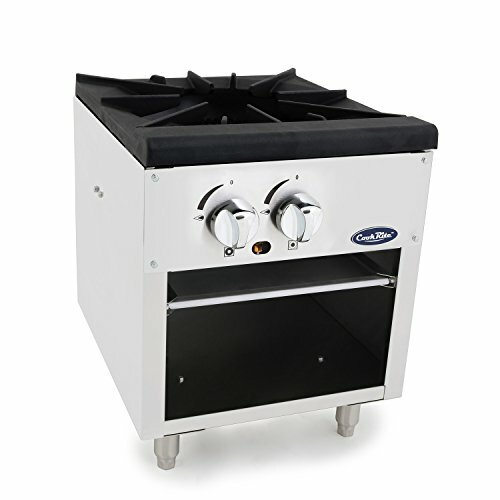 Use all three burner rings for high heat control and accommodate up to an 80 qt. pot. Units are equipped with steel legs and raised cooking surface to 25" or portable for countertop use. Steel frame and legs. Inner burner 10,000 Btu. Middle burner 20,000 Btu. Outer burner 30,000 Btu. For use with Natural Gas. Fitting for left side gas (available right side also). Fully assembled and ready to use. Standard 1 year warranty. Weight: 45 lbs. Dimensions: 16 x 20 x 9 in. Height 25" with included legs. Total BTU: 60,000. 10,000 BTU Inner Burner. 20,000 BTU Middle Burner. 30,000 BTU Outer Burner. 3280 Gas Type: Natural Gas Features: -All stainless frame.-Temperature control valve.-Electronic ignition system.-Suitable for use with natural or propane gas (please specify). Options: -Available in Black Porcelain or Stainless Steel finish. Specifications: -Produces up to 15,000 BTUs. 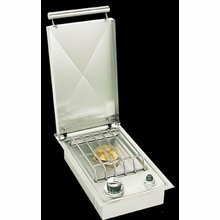 Dimensions: -Required opening dimensions: 4'' H x 8.75'' W x 14.25'' D.
Fire Magic Natural Gas Countertop Single Side Burner - 3280. 3280. Conventional Side Burners. Complete your Fire Magic outdoor kitchen with a countertop side burner. 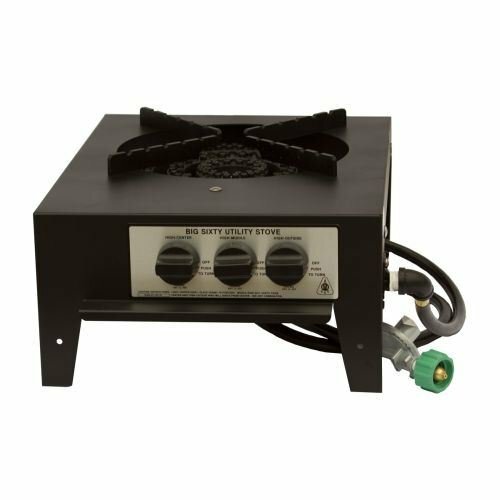 The Fire Magic Single Side Burner features stainless construction, a 15,000 BTU solid brass sealed burner, a precise temperature control valve and an electronic ignition system for easy lighting. It includes a stainless steel cover to protect the burner from the elements. 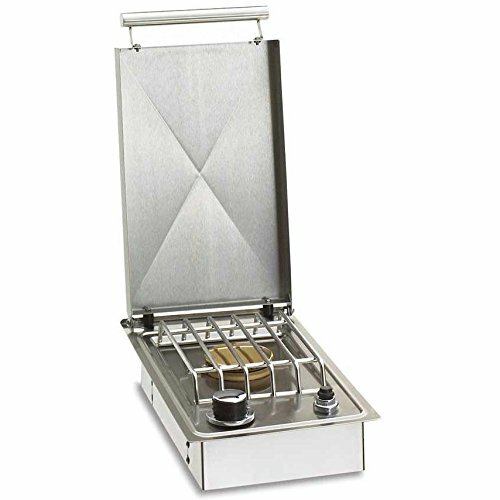 Fire Magic Propane Gas Countertop Single Side Burner - 3280P. 3280P. Conventional Side Burners. Complete your Fire Magic outdoor kitchen with a countertop side burner. The Fire Magic Single Side Burner features stainless construction, a 15,000 BTU solid brass sealed burner, a precise temperature control valve and an electronic ignition system for easy lighting. It includes a stainless steel cover to protect the burner from the elements. Looking for more Gas Countertop Single Side Burner similar ideas? Try to explore these searches: Feather Fairy Lights, Grim Reaper Long Sleeve, and Back Fishnet Stockings. Look at latest related video about Gas Countertop Single Side Burner. Shopwizion.com is the smartest way for online shopping: compare prices of leading online shops for best deals around the web. Don't miss TOP Gas Countertop Single Side Burner deals, updated daily.